Oak Flat is located in the Tonto National Forest in central Arizona, just a few miles east of the town of Superior. This stunning area is sacred land to Western Apache tribes, including the nearby San Carlos Apache. 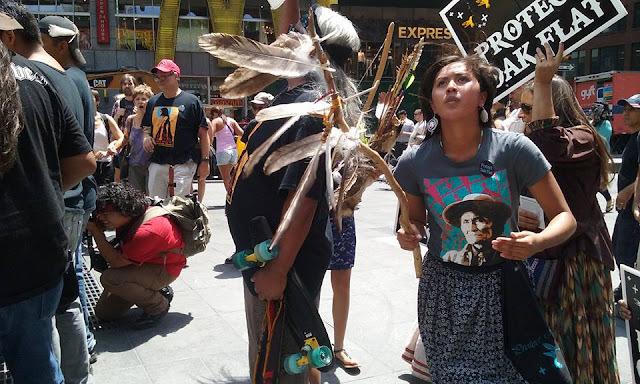 For many centuries Oak Flat has played a fundamental role in Apache culture. Countless generations of Apaches have used the site for religious and coming-of-age ceremonies, and have gathered medicinal plants and acorns from its majestic oaks. Oak Flat also is an important part of America’s public-land heritage. The site is world renowned for rock climbing, thanks to its beautiful and impressive rock formations. The endangered Arizona hedgehog cactus is found there, and an endangered ocelot, sadly, was killed on the highway just a few miles from the popular Oak Flat campground. The cool, perennial waters of Ga’an Canyon house a diversity of bird and aquatic life. But this sacred place of beauty, healing and prayer is threatened with destruction by a massive copper mine. In late December 2014, in a midnight rider on a must-pass defense funding bill, Sen. John McCain (R-Ariz.) led the charge to push through a land swap that would trade Oak Flat away to international mining behemoth Rio Tinto for its proposed Resolution Copper Mine, despite the fact that the area was withdrawn from mining 60 years ago by executive order of President Dwight D. Eisenhower. For more than a dozen years, Rio Tinto has tried to move the land swap through Congress to get around the ban on mining; it failed every time, until Sen. McCain pushed through his back-door rider. McCain has been one of the largest recipients of Rio Tinto campaign contributions in all of Congress. The mine would use a special new technique to excavate the ore body 7,000 feet underground. The material removed from this mine would cover thousands of acres of public land with toxic mine waste, and when the mine is closed it would leave behind a crater up to two miles wide and 1,000 feet deep. 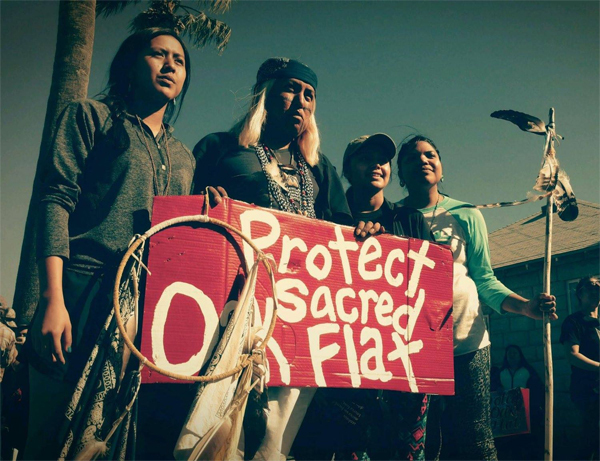 Oak Flat would be utterly destroyed and remain unsafe for human visitation in perpetuity. As a leading member of the Arizona Mining Reform Coalition, the Center has fought for years to protect Oak Flat. 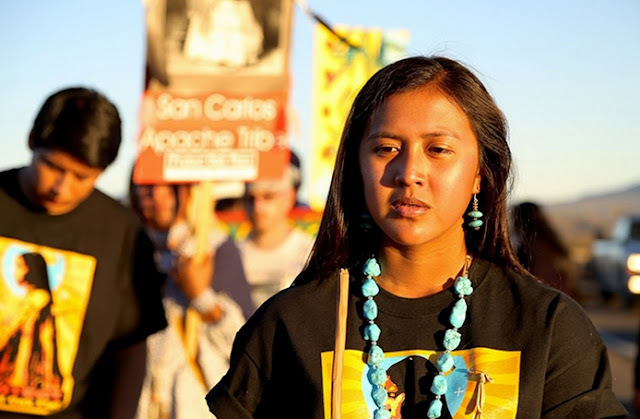 In 2015 we helped organize a nationwide media campaign to publicize the Apache resistance that erupted in response to the McCain rider; in February 2015 the San Carlos Apache led a 45-mile march from their reservation to Oak Flat, where they launched a continuous occupation of resistance that continues to this day; the march has also become an annual event — in which many people even run for long stretches. An environmental impact statement must be prepared by the Forest Service, providing an opportunity for public comment, but the land-swap legislation mandates that the land must be turned over to Rio Tinto at the end of that process no matter what the report’s conclusions are. 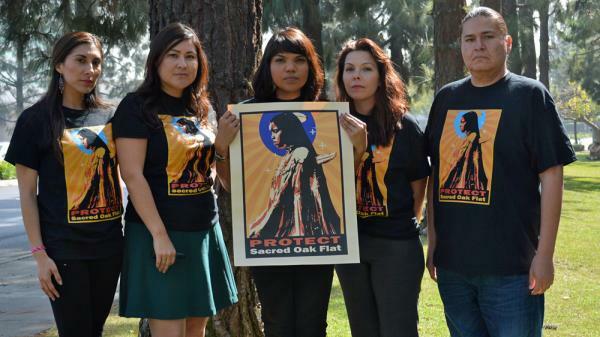 Responses to "Oak Flat, Apache land is threatened with destruction by a massive copper mine"
How does the government keep getting away with it...do they not read Thier own laws and if do read em.why do they still want it ALL,why is that? They need to start respecting Native peoples and let them live in peace. They have destroyed enough Native lands. Stop being so greedy! !